We install Lesure Fiberglass Pools. Our company is industry recognized in all aspects of pool and spa service. Our pool water treatment is based on treating causes and not symptoms backed with extensive traing and education. We are family owned and focused on relationships with those that do business with us. We've been building backyard fun for families for more than 3 decades. Our focus is treating a customer's backyard as we would our own. You aren't just a customer, you're part of the School House Pools family. Leaders in Inground Pool Safety Net. We offer drowning prevention and peace of mind with pond, pool, and spa safety barriers. With our 100% safety record, a Katchakid swimming pool safety barrier is proven to be one of the most secure pool safety systems available today. For over 40 years, Katchakid has been relied upon by parents, schools, and communities worldwide as some of the most dependable, kid-safe pool safety cover systems available. Selecting the right pool company is so important. When planning your dream backyard we urge you to deal with a company that has a proven track record and reputation for building and servicing the finest pools built. Concord Pools and Spas is that company. We understand the value of your time and will build your pool to the highest standards no matter how big or small your project is. Since 1972, Concord Pools and Spas has grown to be recognized as an industry leading pool builder, who has pioneered innovation and reset the bar on customer satisfaction. By placing your trust in Concord Pools, you are dealing with a company that has been headquartered in Latham, New York since 1972, and has installed more inground swimming pools in the greater Capital District than all other local pool companies combined. DelGallo Country Pools is a custom pool builder in Rotterdam, NY. Catering to the most selective customers since 1959. 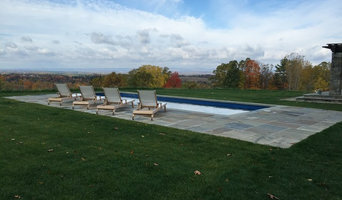 We install high quality, galvanized steel inground pools and vinyl liners, both manufactured and distributed from Imperial Pools in Latham, NY. Most pool companies are in your yard for weeks or even months! 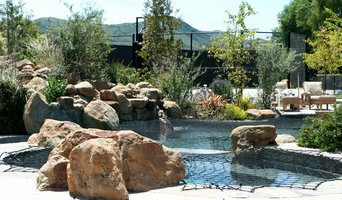 DelGallo Country Pools in most cases is in and out of your yard in two weeks. We do not sacrifice quality, for speed, we own all of our own equipment and build the pools ourselves from start to finish. Those advantages combined with advanced pool construction techniques and experienced workmanship means you get a high quality end product in just a few weeks! As well as building top of the line custom pools, Delgallo Country Pools is a proud dealer of Nordic Hot Tubs. We also have a pool store for all of your pool, hot tub and spa maintenance needs. Come check us out today! DelGallo Country Pools is a small family owned business. We are committed to providing the greater Captial District with quality inground and above ground swimming pools at affordable prices. Islander Pools and Spas Inc.
We are the largest supplier of swimming pools, hot tubs, patio furniture, pool tables, chemicals and supplies in the Northeast. We strive to carry the best products at the lowest prices. We also service what we sell. 1800 Square Foot Retail Showroom, Spa/Pool Parts , Accessories, Synthetic Landscape, Cutting Edge Aquatic Design, Custom Luxury Pools & Spas Water Chemistry Experts, "We Dig Our Job"
Established in 1989, Caribbean Pools and Spas is proud to have provided superior design, materials and workmanship to many satisfied customers. Caribbean Pools is a family owned and operated company. For five decades, Alpin Haus has grown into an outdoor recreation powerhouse now with five store locations in Amsterdam, Port Jervis, Saratoga, and Clifton Park, featuring a full-line of RVs, snowmobiles, skis, boats, pools, and spas. Alpin Haus is one of America's largest RV dealers - named top five RV dealer by RV Business Magazine, recipient of the Caldera Spa's Best New Dealer of the Year award; Top 25 Tracker Boats dealer; the Snow Sports Retailer of the Year; National Top Quality RV Dealer of the Year; the Ski-Doo District Dealer of the Year; and voted one of the Best Places to Work by Capital District Business Review numerous years. We sell Bullfrog Spas, the most energy efficient, customizable spas available today. We service all makes of spas through our partner company PoolBoy. We specialize in providing the best possible Spa Experience for our customers by also providing deck and waterscaping services to place your Spa in the most perfect spot, on a deck, in your yard, or by a new pool. Manufacturer of the ONLY energy efficient insulated swimming pool! Smart swimming. Green living. By selecting Concord Pools, you are dealing with a company that has been headquartered in Latham, New York and building pools for over 40 years, and has installed more inground swimming pools in the greater Capital District than all other local pool companies combined. Concord Pools and Spas worked in various areas all over the Capital Region New York including; Albany, Latham, Saratoga Springs, Clifton Park, Glens Falls, Lake George, Saratoga Lake, Ballston Spa and all surrounding areas! What exactly do Ballston Spa pool builders do? If you are planning for a new pool in Ballston Spa, NY, a swimming pool builder will analyze your outdoor space and your aesthetic wishes to determine an appropriate design for your yard, installing it once the plan is developed and approved. Once installed, some pool companies in Ballston Spa, NY can handle the necessary cleanings, water testing, renovations and equipment replacement or repairs for your pool or spa. If not, many can also suggest Ballston Spa, NY swimming pool contractors or maintenance services to help with upkeep or repairs down the road. Here are some related professionals and vendors to complement the work of swimming pool builders: Garden & Landscape Supplies, Landscape Architects & Landscape Designers, General Contractors, Landscape Contractors, Solar Energy Contractors. Before hiring a swimming pool construction company to create your new Ballston Spa, NY pool, determine how you'll be using it. Will it be for fun or for lap exercise? Will the primary users be children, adults or a mix of the two? Knowing the use can help you find Ballston Spa pool builders who shares your aesthetic. Once you find swimming pool builders in Ballston Spa, NY who share your style, research is critical. 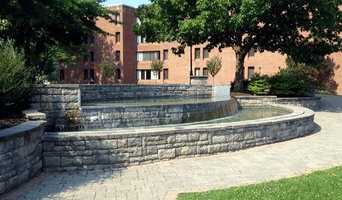 Review customer references and comments, collect at least three to four estimates to compare, meet with potential Ballston Spa pool designers and builders in person and ensure that they are New York certified service professionals and licensed with the registrar of contractors before making any final decisions. In addition, get a sense whether they plan to complete the pool installation and be done with it, or whether they seem interested in building a long-term relationship with you. Be wary of the former: it's likely a reflection on the level of quality of the pool construction they do. 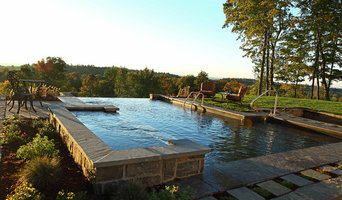 Find a Ballston Spa pool contractor or designer on Houzz. 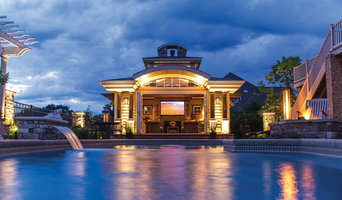 Narrow your search in the Professionals section of the website to pool builders in Ballston Spa, NY. You can also look through Ballston Spa, NY photos by style to find a pool or spa you like, then contact the local pool company who designed it.